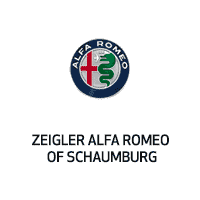 Based in Schaumburg, IL, Zeigler Alfa Romeo of Schaumburg has an exquisite selection of new Alfa Romeo vehicles and used luxury vehicles to excite you! From the sculpted curves of the Alfa Romeo 4C to the record-breaking performance of the Alfa Romeo Giulia, we have something for every serious motor enthusiast from Chicago to Elgin. So go ahead and take a moment to browse through our stunning inventory. If you’d like further information about any of the vehicles or services we offer, come visit our Schaumburg, IL Alfa Romeo dealership today. You can also request more information about any Alfa Romeo vehicle using our online form or by calling Zeigler Alfa Romeo of Schaumburg at (847) 407-9000.